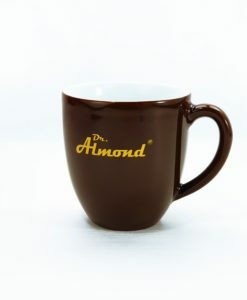 Your new favorite mug for extra large coffee, relaxing tea or hot chocolate! 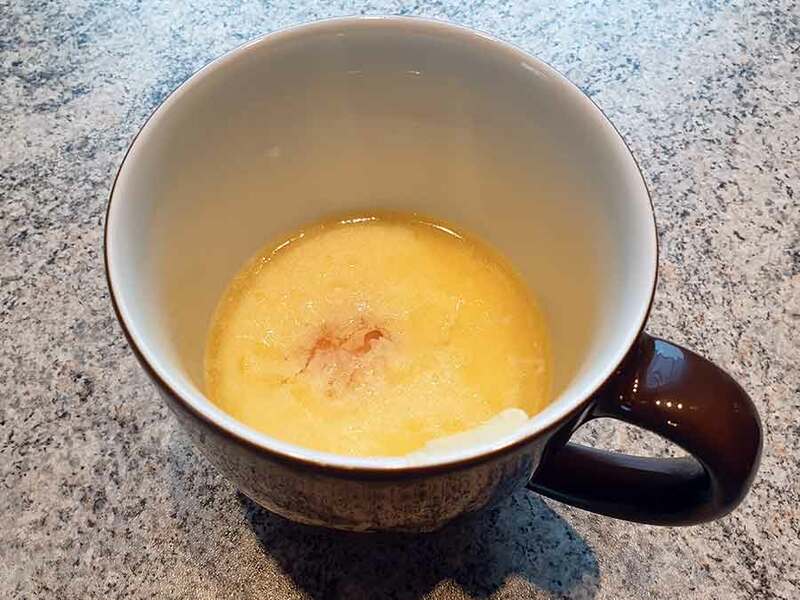 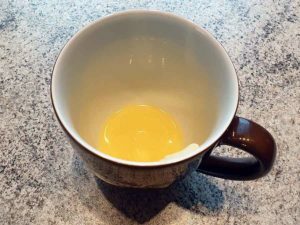 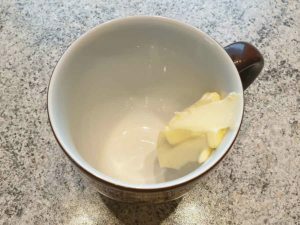 Place butter into the mug and melt for approx. 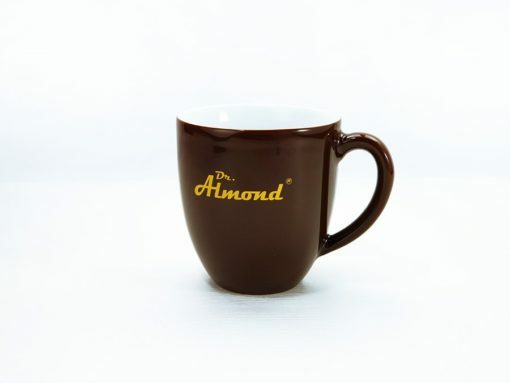 20-30 secondes at 800 Watt. Add mild and egg, whisk shortly, stir in BROWNIE MAGIC with a fork for approx. 1 min. Heat at 800 Watt approx 2.5-3 min in micromave. Die Zeit kann je nach Mikrowelle variieren – am besten du stichst mit einem Thermometer in die Mitte des Teiges – ab ca. 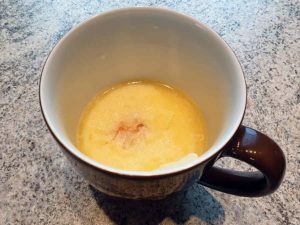 90 °C ist der Teig gar. 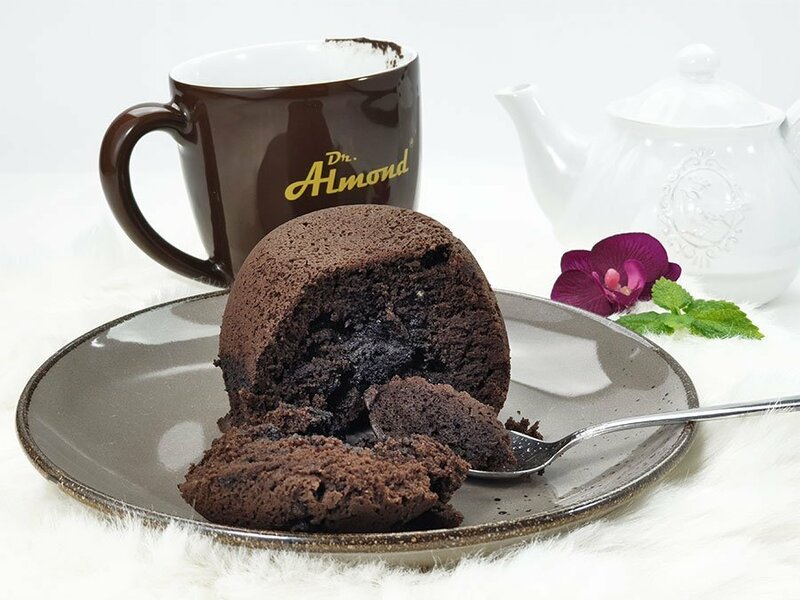 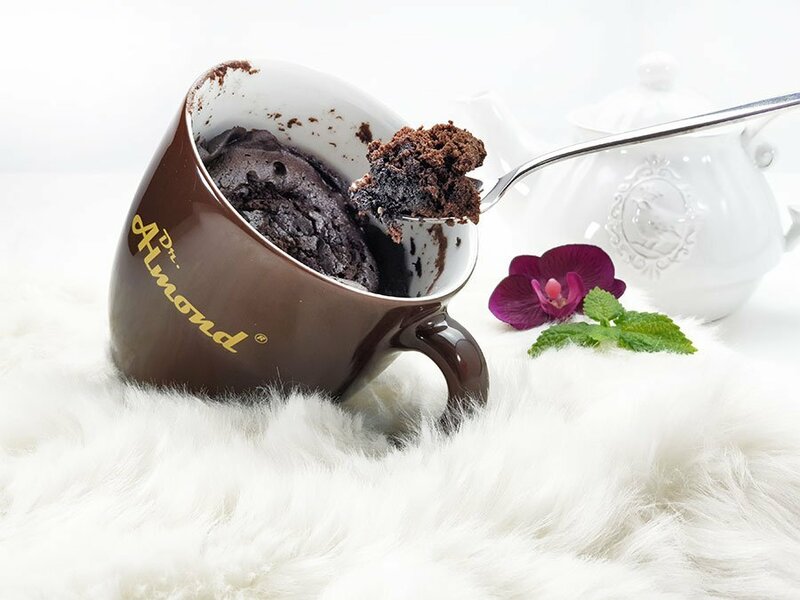 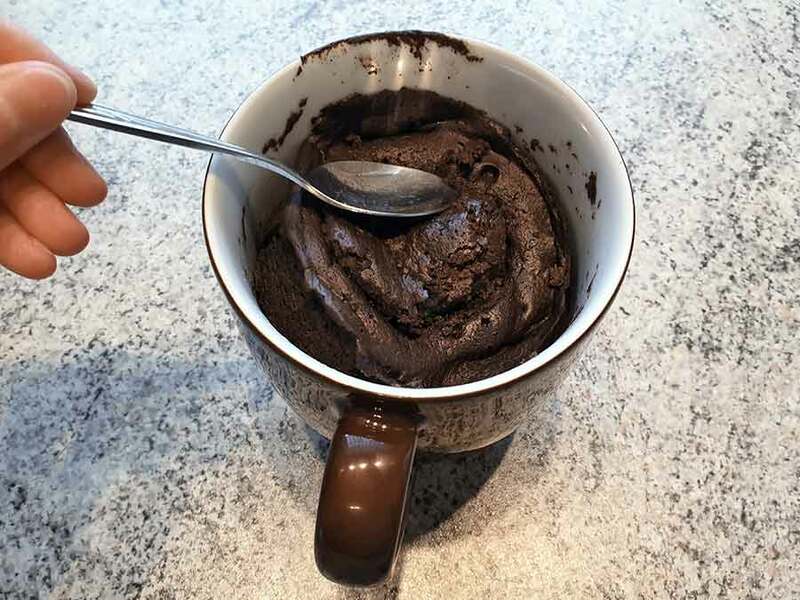 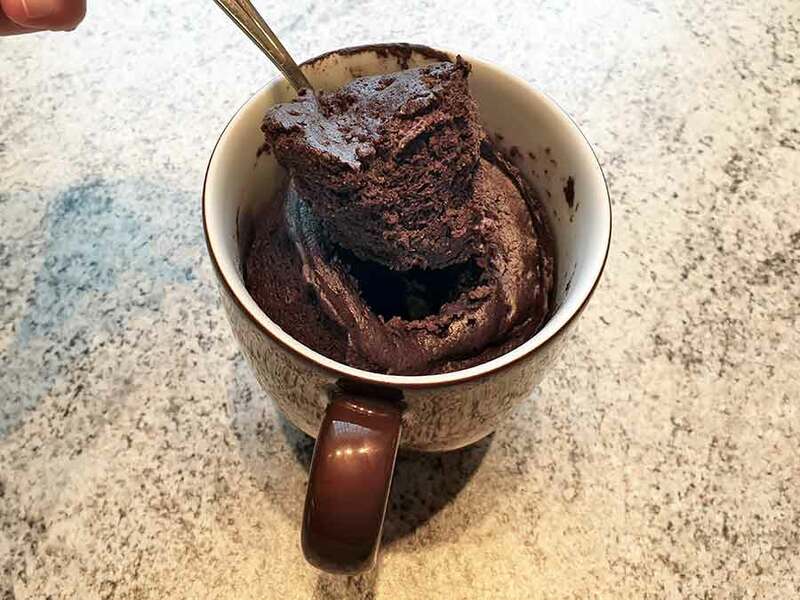 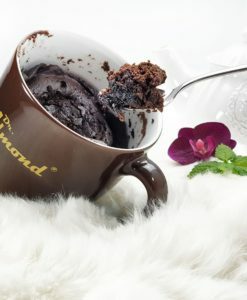 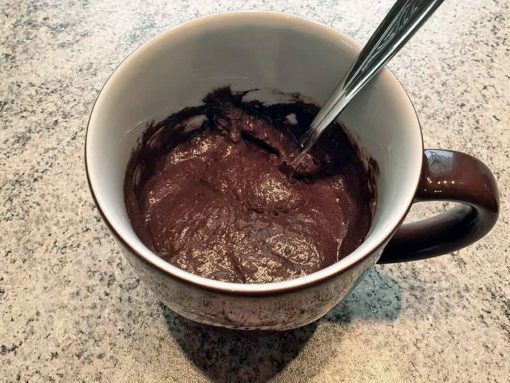 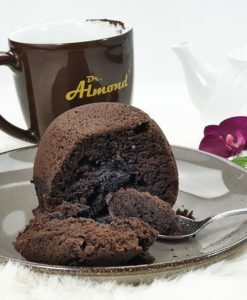 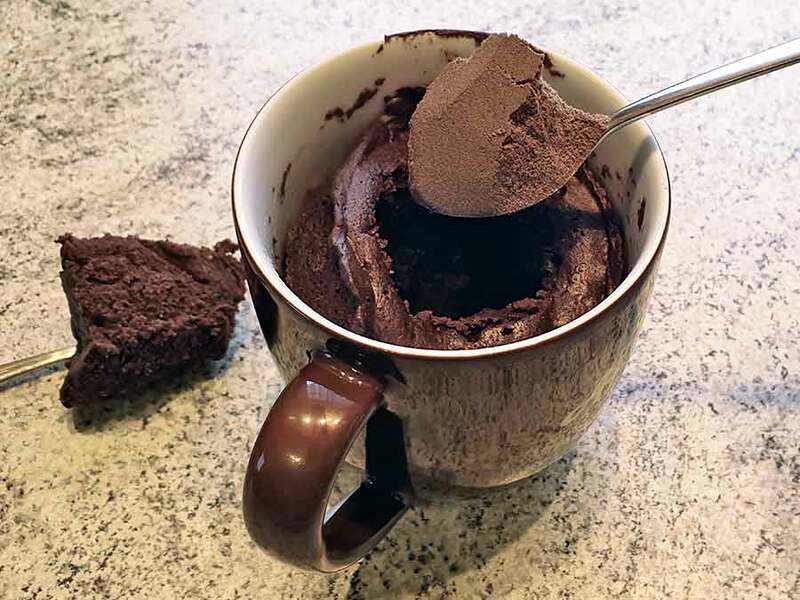 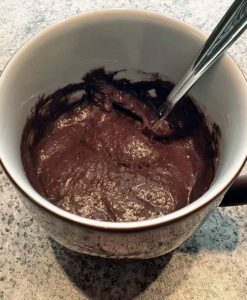 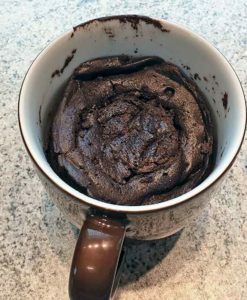 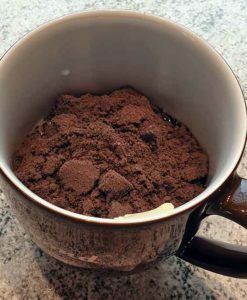 Spoon out a large chunck of the cake, add a big spoon of Dr. Almond Chocolate Magic BLACK CREAM and place the spooned out chuck on top. 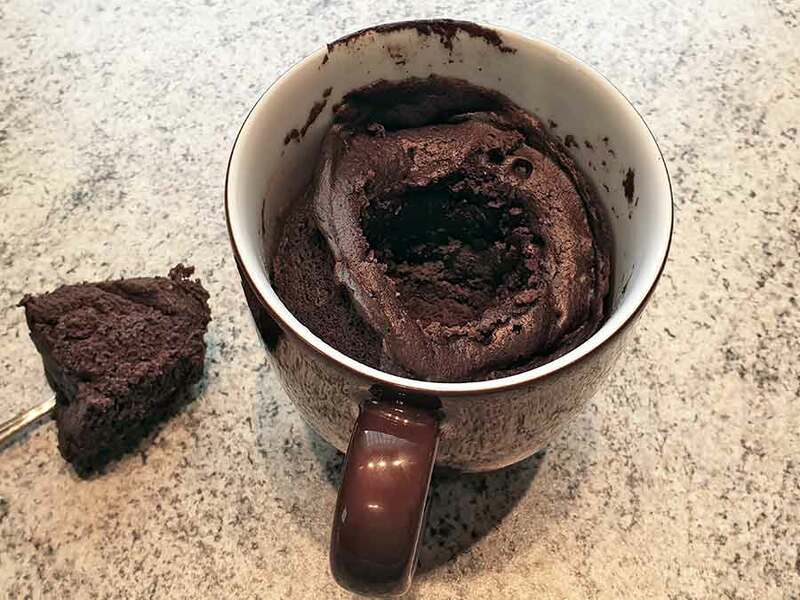 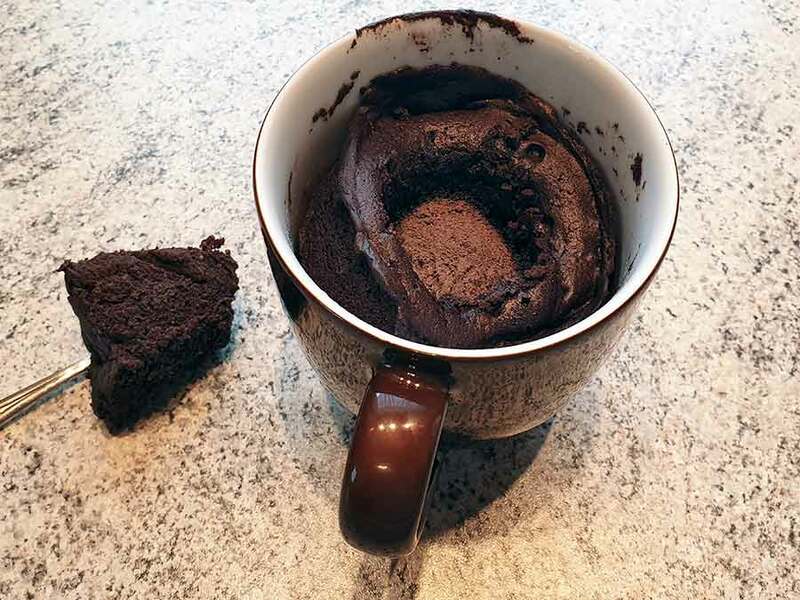 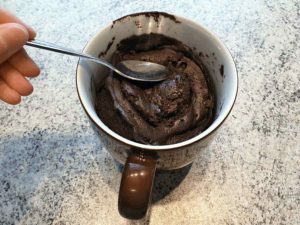 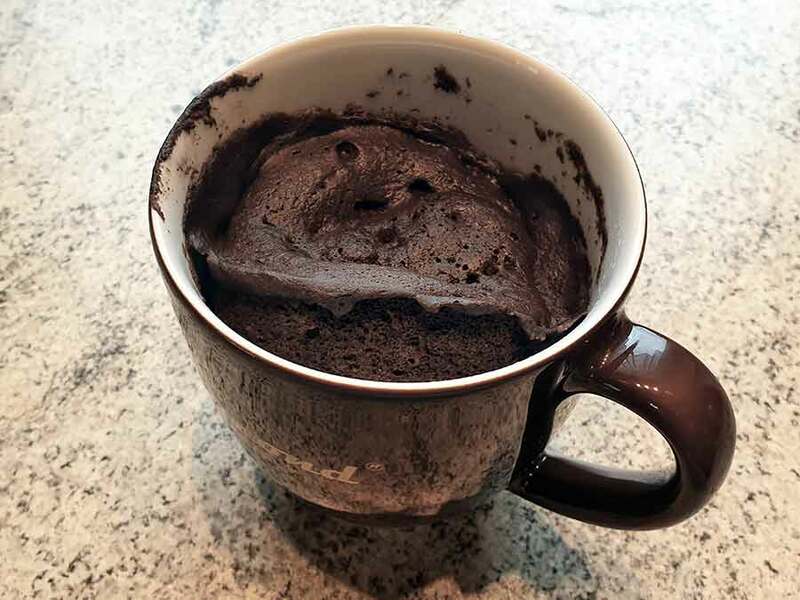 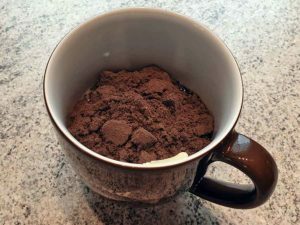 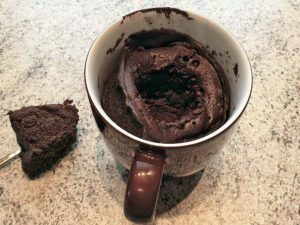 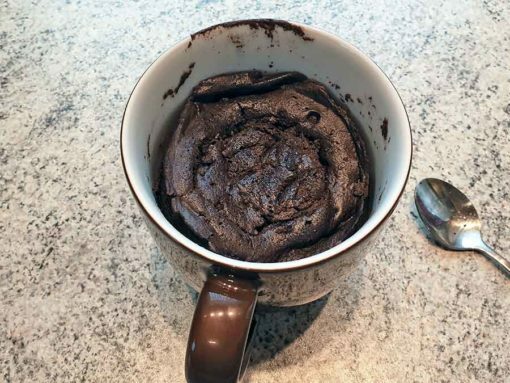 Place in microwave again for 20 seconds at 800 Watt – DONE!